Cloud Edition Gaming... A new trend of gaming over the internet? I read something today which really made my blood boil – Steaming ears the whole 9-yards etc. They're releasing Resident Evil 7 on the Switch, which alone is a great idea, I found it to be one fo the most distinctive and best gaming experiences within this generation so I am all for it spreading to other consoles. The problem is in the delivery. Unlike the PlayStation 4, Xbox One, and PC versions of the game, Resident Evil 7: biohazard Cloud Version will run over the Ubitus cloud service and require a stable Internet connection to play. It will cost 2,000 yen for access to 180 days of play. Before committing to a purchase, users can play up to 15 minutes for free. Resident Evil 7: biohazard Cloud Version will also include access to all of the game’s downloadable content. 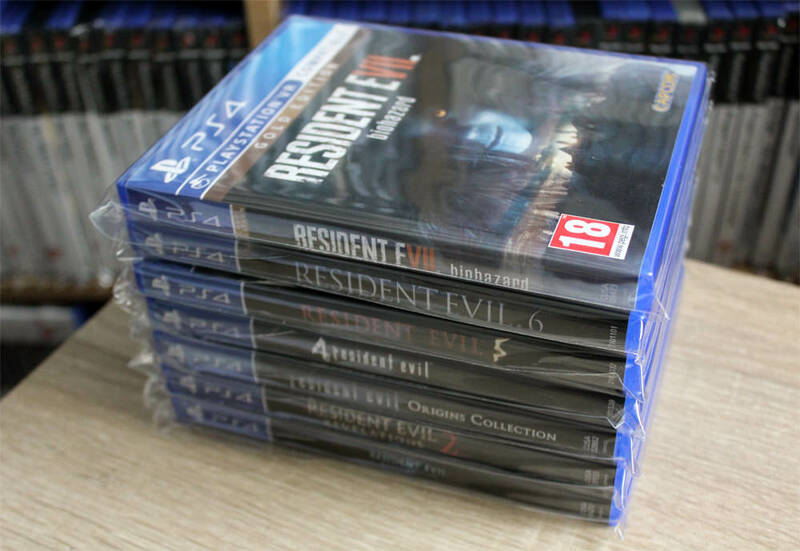 At first it is easy to dismiss this as an issue regarding the shortcomings of the Switch's capability – We've seen collection releases like Resident Evil Revelations or Bayonetta which only include one title on the cart and the other is a downloadable title. Also a lot of the ports we've seen have been hit and miss. I should add that I am not opposed to Streaming games online. 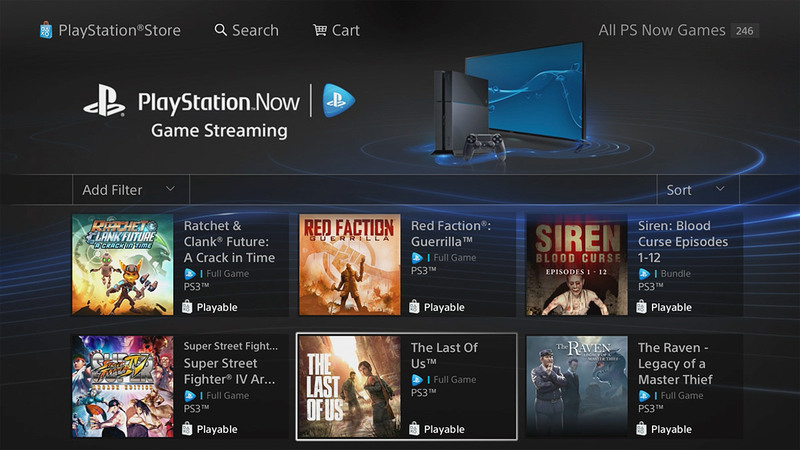 I tested out PlayStation Now while it was on trial not long ago and was very impressed with the results. I found every game to be very accessible and run without any hick-ups. I was also impressed with the clarity of the image, I was expecting artefacts and streaming blotches over the screen but found it to be a crisp and brilliant experience – I personally don't do subscriptions and PS+ is enough for me already but I can see the appeal if you don't have big gaming shelves like us here. However, can you imagine if every game adopted this distribution manner? Paying for an extended rental service but never actually owning the game, this is immensely unappealing to me! Not only because I won't own the game but it's sounds like a very expensive chain fort he consumer. Thinking about it, I wonder if you will need to be on the new Nintendo Online subscription to access this? That would make matters even worse as you'd be paying for the online service and potentially the rental for singular games – Gosh, what a mess! PS Now - Does offer a great service, but it is not the only way to access them games on the PlayStation 3/4. The problem I have most of all is when gaming experiences become dependent on services like this. I have no problem with a service like that being extra but if it is the only way to access a particular game, especially a NEW release ( I know RE7 isn't NEW but it is to the Switch and it's a Triple A title for sure. ), That is when we get back into the Xbox One's DRM fiasco at the systems launch. RE7 is a single player game, it does not feature any online multiplayer modes and should not need to be connected online at all times to experience. I'm guessing the idea was to prevent consumers being put off in having to buy and maintain an extra Micro SD card for their system. To me this route is far more alarming, what's laughable is that it goes against the very concept which is most appealing about the Switch in the first place – It's portability. With this Cloud variation of this game you won't be able to play outside your doorstep. If that is the case why would I want to experience this game on the Switch? The PS4 Pro & Xbox One X (Gawd that name...) will offer a far superior experience within a television set up, so with all that, I just see no appeal to this particular release. I really don't want this to become a trend, the fear is that if exclusive gaming experiences are tied to this set up, in the long run these gaming experiences could be lost – Like how that PS3 Scott Pilgrim vs The World beat'em Up title has vanished from the PS Store. I don't mind so much if it is an online only game (Your Fortnites, PlayerUknown's BattleGrounds etc.) As them games are focused online, but then it comes to single player experiences I want the accessibility to be offline and available. I should add that this is not a Fanboy rant, had this happened on PS4 I'd be just as furious, I own a Switch and regard Capcom very highly – especially for all their PS4 ReMasters! But this is not the route to go. I called this a long time ago. I figured it would happen eventually. I'm with you in that I'm not to happy about the concept of never owning my own games. But ultimately, it doesn't bother me that much. I've said it before, but if the industry goes this direction, I will just stick with the consoles I have. There is more than enough in my collection alone to keep me busy for the rest of my life. The thought of not being a part of future gaming generations doesn't really bug me that much. Ive already called it too. Its part of the reason I decided that PS4 is going to be the way I finish my collection. Im going to have enough after to keep myself game busy forever. If/when something comes out on the P5, Ill simply get it and the download.